In this age where there is an influx of digital information, learners need to become creators and sharers of content, rather than just consumers of information. Voice becomes the vehicle to allow ideas to rise. 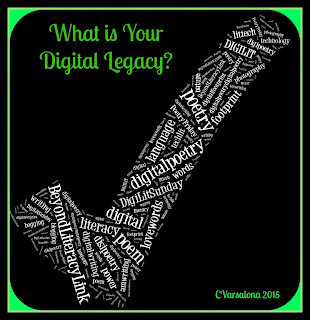 Reflective teachers help students become thoughtful users of digital space. Choice is provided to develop independence but the freedom to create necessitates the wise articulation of statements. Content, opinions, creative expressions, and sentiments are sent out to the world daily when assuming a social media presence. What you write becomes your footprint, so there must be careful deliberation on what is publicly said. Connected educators know the value of educational Twitter conversations that allow for the flow of ideas. Adult and student thoughts aired across the internet become living testaments to the power of voice. We leave a digital footprint as we communicate in social media spaces. How will you brand your space? Will it be rich with significant, relevant ideas, conversational in tone, or stylistically sophisticated? 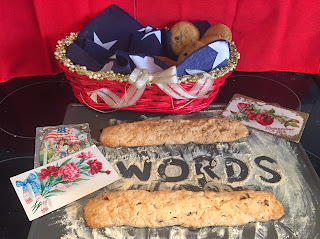 While exploring mine, I carefully examine my word choice, or as I call it word weaving, hoping that my words will impact teaching, learning, and life. I use my blogging space to ponder, reflect, and converse with those who share the love of writing. I offer this post today to the DigiLit Sunday community of writers under the guidance of Margaret Simon. Please visit her site and peruse the writings of those whose voices are being raised each week. I invite you to a preview of the newest gallery I am creating, Spring's Symphony, with the thought that each offering you will see at the end of springtime will provide a lasting legacy of artful words. I invite you to once again consider this question. Join me today as I celebrate being a connected educator. 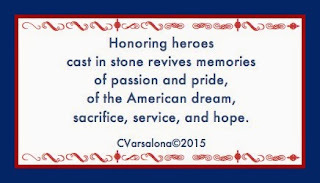 This week started out with a celebration, Memorial Day, a day to remember America's fallen heroes. 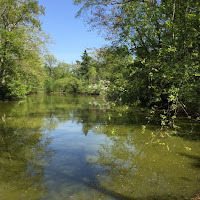 It is also the start of the summer season on Long Island. How better than to celebrate the sunshine and warm weather than with barbecues! Family and friends are important connections to cherish. I rekindled framily times at Rockville Links with a Memorial Day barbecue made complete with cotton candy, popcorn, hot dogs, corn, steak, salad bar, and of course, chocolate cake. I always enjoy the time spent with others. It allows me the opportunity to bake for my family and friends. A little pinch of this and then of that is a trick learned from my Nonnie, carried on by my mother, and passed on to me. This week's creations were anisette biscotti, some of which were iced with Nutella. 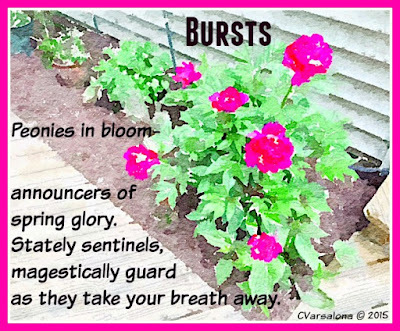 In addition, I celebrated words and created several poems for my blog posts this week: Honoring Heroes, Creating a Bucket List, Moment of Silence, and Digital Design. My week will end with framily times again: fundraising for H.E.L.P. Uganda with a bead sale and then dinner with friends. 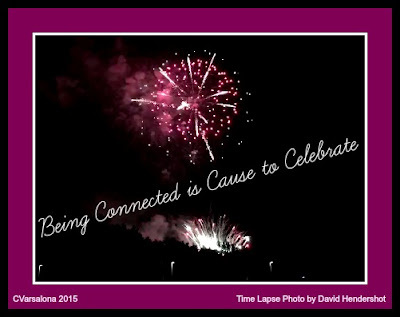 How will you celebrate being connected this coming week? Enjoy life. Join Ruth Ayres as she Celebrates This Week every week. Combining tech and lit has always been a passion of mine. Now with the amount of photo editing tools out on the market, the passion has become a delightful obsession. The fact that I can take a thought, pair it with a photo, and create a poetic image has taken me far beyond my first days of writing as a child. Let me take you on a brief tour of my digital design process. Paper and pencil: Low tech tools used for journal / notebook writing show my revision process as a messy one. This is a positive move since I can actively engage in the productive struggle. You can see another one of my digital journal pages in a post that I created for Amy VanDerwater's site, Sharing Our Notebooks. 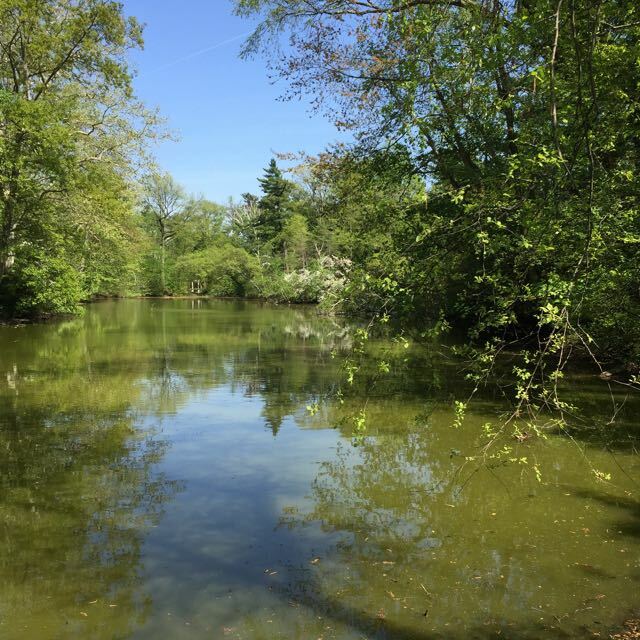 iPhone camera: Original photo of a reflective body of water at Old Westbury Gardens is taken with the iPhone 6. With my rotator cuff injury, I find that the iPhone is a good substitute for my heavier cameras. Canva, a free online design tool: I combined a watercolor-like rendition of the original photo with my finished poem with this tool. 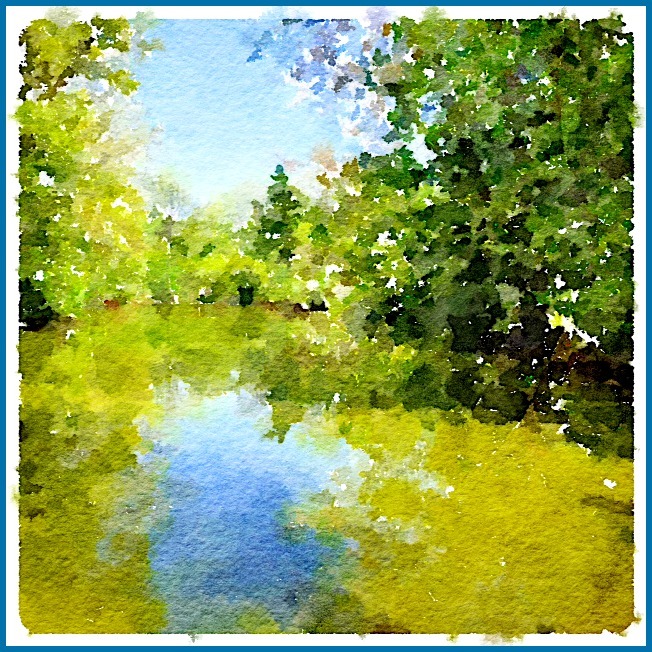 PicMonkey, a free online photo editing tool: I often use this tool to create digital images complete with text but this time it was only used to create a border. Blogger, a free blogging site: I am able to embed images into my blog site after resizing them for appropriate height and width to fit the post. Visual presentation is an important part of my design process. 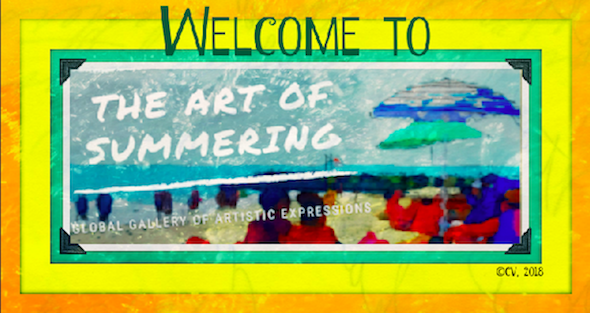 When designing my online global galleries of artistic design, I work with teachers, students, poets, artists, writers, family, friends and business people to create optimum, appealing messages to be sent across the Twittersphere. Creativity is sparked. Personal artistry is evident. The tech/lit integration is apparent. Possibilities are explored. and yet identifiable for others." Join me in opening my newest gallery, Spring's Symphony. June is upon us as is the end of the spring season so explore your limitless possibilities of your creative talents. You can access the invitations here and here. A few Poetry Friday friends have sent in their offerings, so hopefully others will join in. I am now collecting offerings for Spring's Symphony and will be ready to unveil the gallery toward the end of the spring season. I am pleased to announce that a team of nine (Debbie Diller, Judy Dodge, Blanca Duarte, Paul Hankins, Trudy Ludwig, Holly Mueller, Margaret Simon, Terry Thompson, and me) will be involved in a roundtable presentation, Igniting Wonder in Students and Teachers: Fueling the Fires of Creativity and Independence in the Classroom at NCTE 15 that is an outgrowth of my conversations about the integration of technology with literacy. I will be keynoting the session and hosting a roundtable talk: REFLECT WITH ME Galleries of Artistic Expressions as Gateways for Global Connections & Creativity. 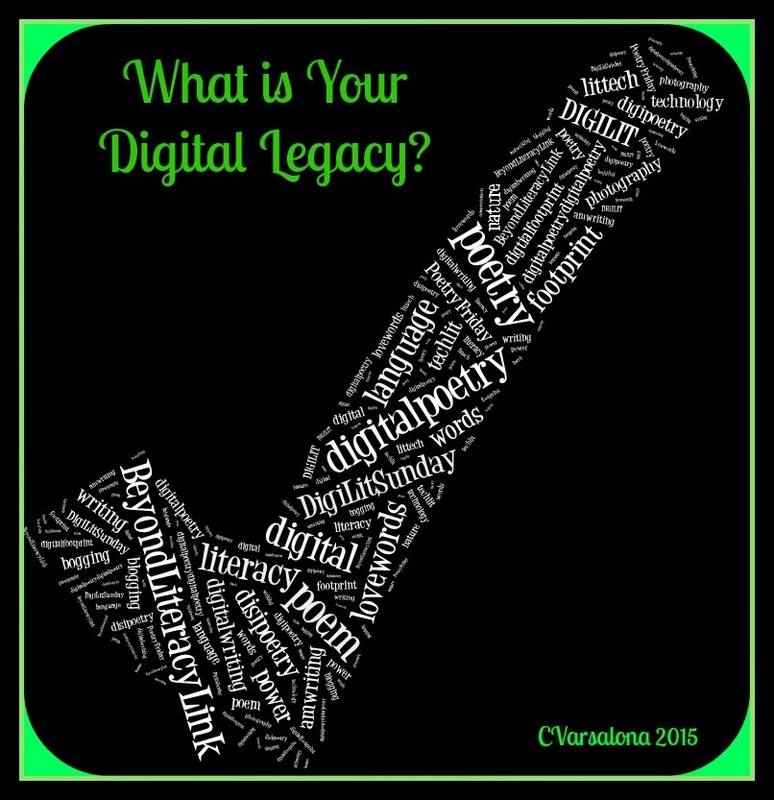 Margaret Simon posted a #DigiLit Challenge to create #photoart and I just read her post so being passionate about tech/lit, I will participate. 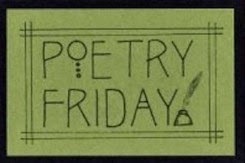 Now please turn your attention to the Poetry Friday Round-Up hosted by my colleague, Margaret Simon at Reflections on the Teche. 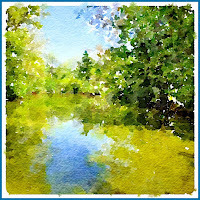 There you will receive all the latest information on new prompts along with a variety of perspectives on poetry from the Poetry Friday community of writers. 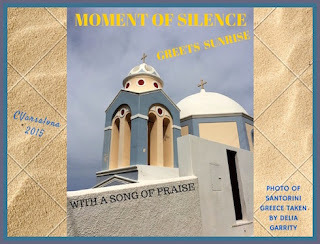 Although I have never traveled to Santorini, an island in the Aegean Sea, I knew when my friend showed me this photo from her recent travels to Greece that this image would inspire me to write about the act of engaging in a moment of silence. Silence is golden, an idiom often used to describe a desirable state can be looked at in various ways. It can be the time set aside for a prayerful moment, the pause provided to honor a fallen hero, or the quieting of the chatter of the world. It is sacred time to reflect, to fill your heart with song, grieve a loss, or be in communion with a spiritual quietness. Moments of silence can give us the peace of mind to reflect and then, speak with eloquent words. Beethoven captured the essence of silence in his composition, Silence. Memorial Day allows for a moment of silence. Each year 9/11 brings a time in the day to reflect, stop, and disconnect from the noise of the world and to spend a moment to honor all whose lives were tragically lost. Yesterday, an eduhero suddenly and unexpectedly passed on. I, among other educators, honored Grant Wiggins with a moment of silence and words of respect tweeted throughout the Twittersphere. 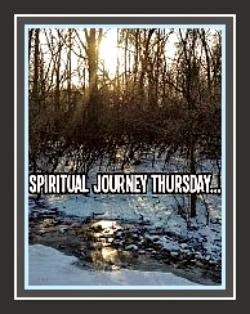 Please take the time to visit Spiritual Journey Thursday directed by Holly Mueller who determined today's topic to be a moment of silence. You will enjoy reading the posts by SPJ community members. Memorial Day signifies the start of the summer season and the winding down of the school year. 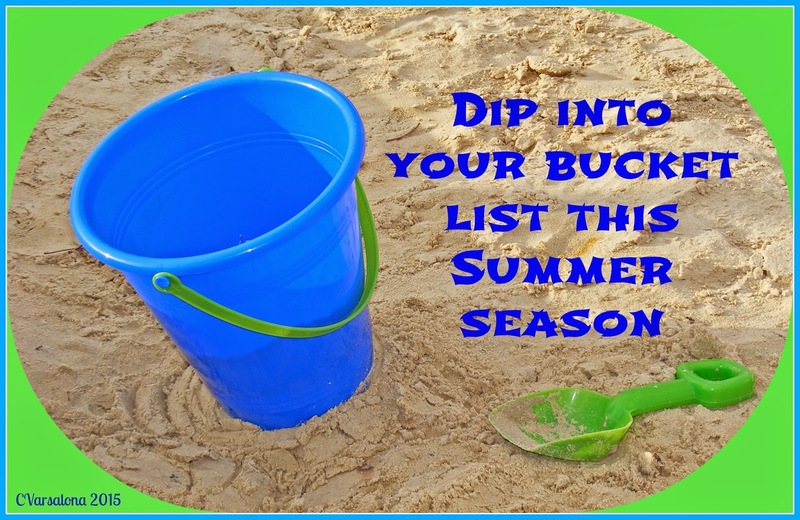 To keep the passion of teaching alive while enjoying summertime fun with family and friends, create that Wish I Could bucket list that was put aside during the school year. 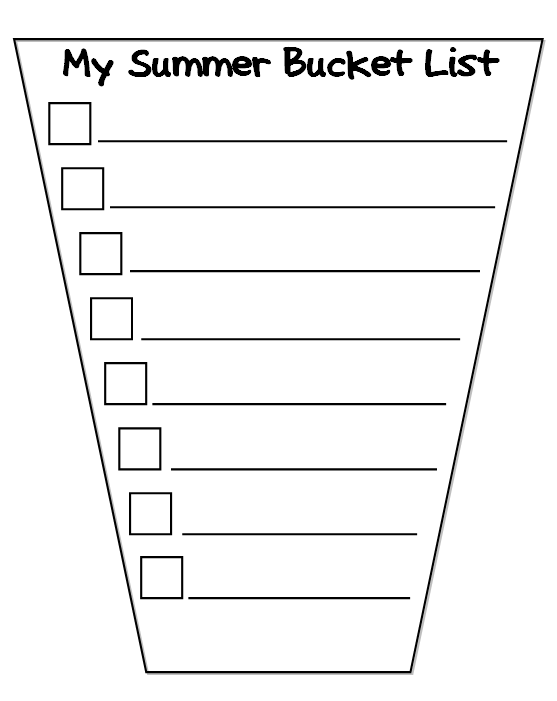 After reading Summer Bucket List for Teachers, I paused to reflect on what would be my number one wish. now that summer is approaching? 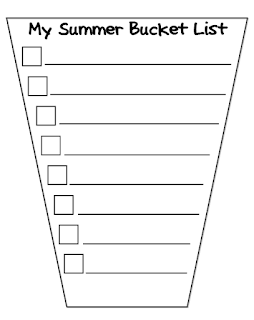 Are you interested in connecting with other educators from across New York State and beyond to speak about your summertime bucket list? If so, join #NYEDChat on June 15, 2015 at 8:30 pm EST for the final Twitter chat of the school year. 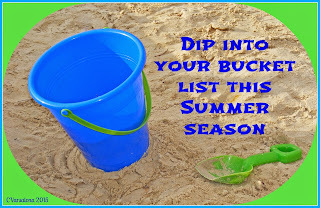 The topic for discussion is "Creating Your Summer Bucket List: Personal PD." 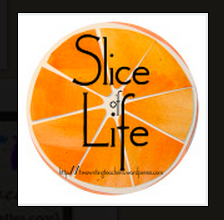 It's Tuesday, so it time for Two Writing Teachers' weekly Slice of Life postings. Dana Murphy opened the call to write with the following quote, "Find your best time of the day for writing and write and write. Don't let anything else interfere. Afterwards it won't matter to you that the kitchen is a mess." (-Esther Freud) It is the end of the day and all is quiet. There are many tasks still waiting to be completed but for now the call to write is a bucket list must. As the clock strikes 12, Memorial Day begins. Parades, speeches, barbecues, and get togethers are planned for the event. They are the typical of the traditions celebrated at this time of year. Besides these, of utmost concern is the remembering of American heroes who served and sacrificed their lives. Joseph Campbell said, "A hero is someone who has given his or her life to something bigger than oneself." Let us stop to reflect on this for a brief moment while engaging in activities with family and friends. 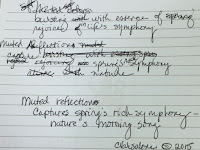 The above five-line poem with a 5/7/5/7/7 syllable count poem is a tanka. It originated in Japan as a waka, a Japanese song or verse. Words convey a message of importance. At the turn of the 20th century holiday postcards were popular. You can see a few of the colorful antique Memorial Day postcards that I own. Thoughts expressed were sent out to family and friends. While postcard writing is not prevalent as in the Victorian days, blogging and tweeting have become ways to communicate with those far away. Enjoy the Memorial Day Holiday. Do you have a Memorial Day tradition other than those mentioned that you engage in with your family? I am starting a new one, writing a poem for each Memorial Day. 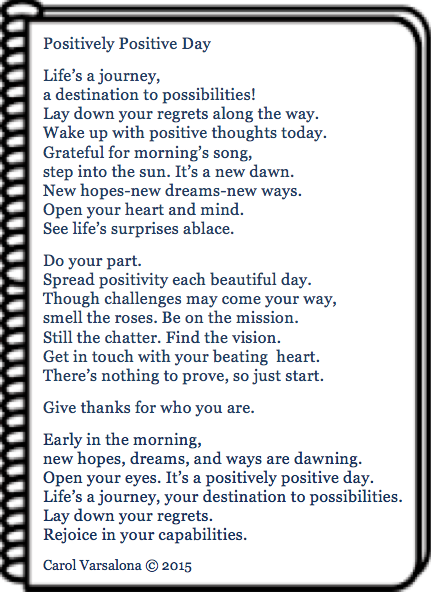 Last year's poem can be accessed here. This week was a week for celebrating heroes-from #eduheroes to fallen American heroes. At the start of the week, I created a site, Hall of #EduHero Voices, for #NYEDChat's conversation that occurred last Monday night (and trended on Twitter). It is fitting to recognize teachers as eduheroes whose passion for educating youth is evident on a daily basis. I received a tweet while writing this post from My Town Tutors who recognized the Hall of #EduHero Voices in their paper, The New York Tutors Daily. You can access my post in the newsletter here. 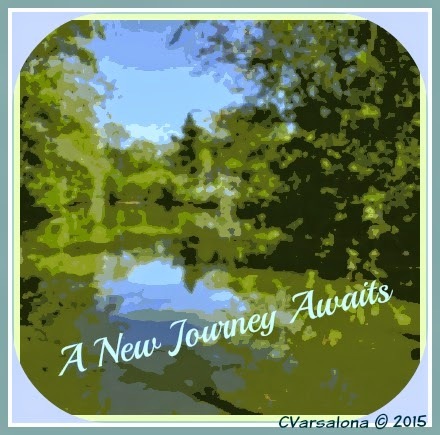 I extended my celebration this week with digital poetry-two more poems created for the following posts, Beginnings and Digital Journal. 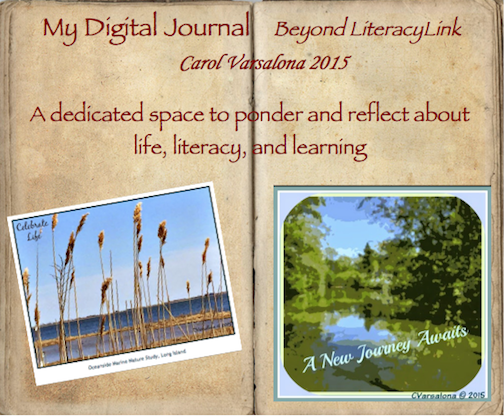 Amy VanDerwater featured my digital notebook, at Sharing Our Notebooks, Try This! - Turn a Song into a Found Poem. I also celebrated the virtue of patience and created an electric image to signify my emotions. The post with the following image can be accessed here. 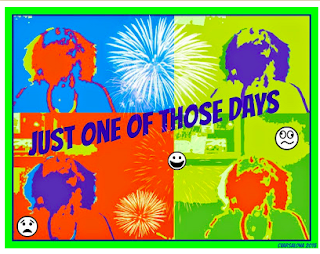 Do you know heroes that have just one of those days? Now, Memorial Day is upon us and I think of the fallen American heroes who served and sacrificed for this American nation. I recognize these men and women in a way I know best, words that carry a message. The poem and post will air at 12:00 midnight. 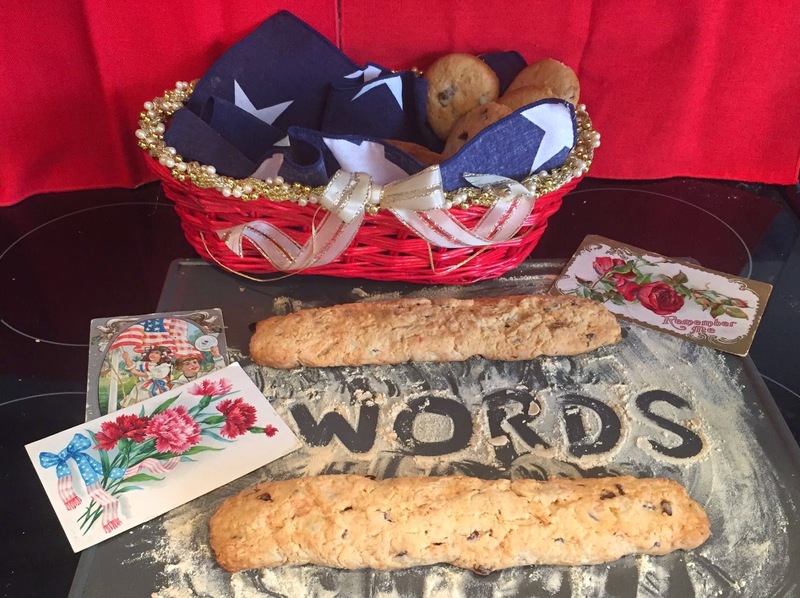 I celebrate the week's events along with the writing community created by Ruth Ayres. Please visit Ruth's site, Celebrate This Week, to read how others enjoyed their week. The odyssey of my writing life started with my first journal in elementary school that chronicled the adventures of a two children called the Merry Twins. Their antics were patterned after my favorite series, The Bobbsey Twins. Reflecting on life as a child, I am amused by two facts. At a young age, I was using a mentor text to inform my writing practice and my characters' names took on a positive persona decades before the term positivity became popular. Because I still have not organized all of my professional, pleasure, and picture books, along with other mounds of paper from my pre-retirement days as districtwide literacy director, I have not found my first journal that marked my attempt at authorship. Today, if you enter my home office you will find paper scraps of edited poems strewn around my desk, marking the traces of my thinking. No matter how many times I try to organize the space around my computer, I still linger in what I call cluttered chaos. But somehow within the disarray I am able to thrive. 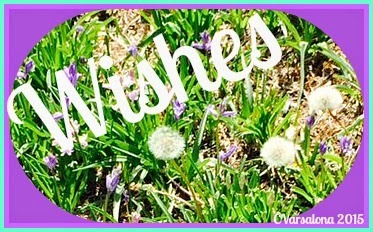 Since I am fascinated with Cloud storage lately and time is a factor when blogging I have turned to a digital journal. I remind myself that it is fine to move from the printed page to the digital space to capture my thoughts. The process is messy and often leads me to throw out my scraps of paper after my thoughts are saved in the cloud. Amy Ludwig VanDerwater is collecting notebook ideas at The Poem Farm today. 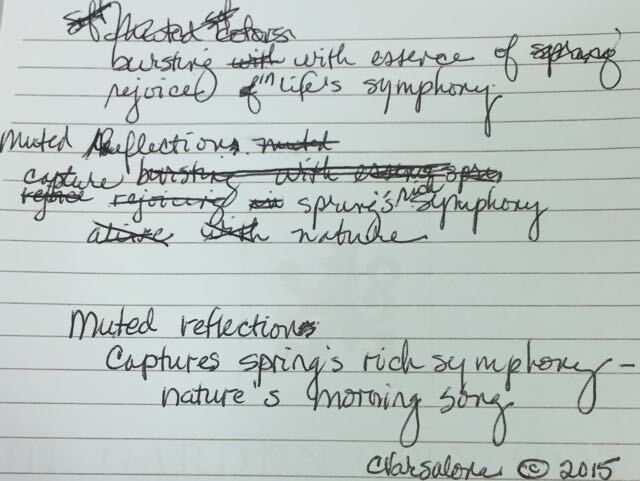 When she tweeted me about the idea, I thought of my messy writing process and tried to imagine how I would replicate what I do digitally to bring a poem from its initial seed of an idea to fruition. What you will see below is an example of how I took the lyrics to a song about positivity, crossed out certain words, and then reshaped the lyrics into a poem. Going paperless may be a way to save the earth but it is also a way for me to organize my writing portfolio. You can see the remainder of the lyrics here. 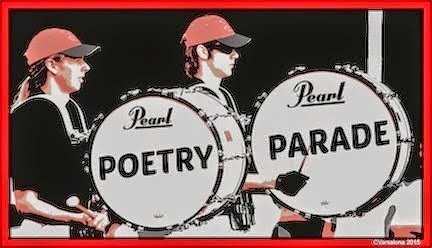 Please visit Poetry Friday that is being hosted by Matt Forrest today at Radio, Rhythm & Rhyme. 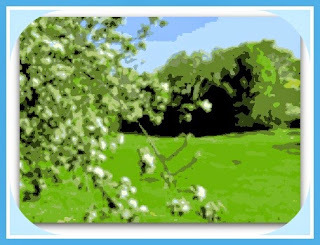 Matt has very good news to share with everyone and a poem that provides insight into what springtime looks like in New Hampshire. 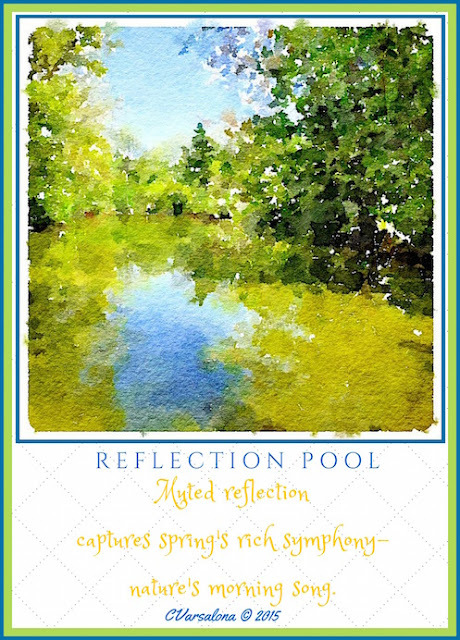 An invitation to share one digital poem/photo combination for the newest online gallery that I am creating, Spring's Symphony, can be accessed here. I hope that Poetry Friday colleagues will be creative in their visual representations of springtime. Also, please peruse the Hall of #EduHeroVoices filled with digital images of #edusinspirations. If interested, create one and send it to me for the new site. When one door closes another opens is a common phrase that signifies endings and new beginnings on our journey of life. 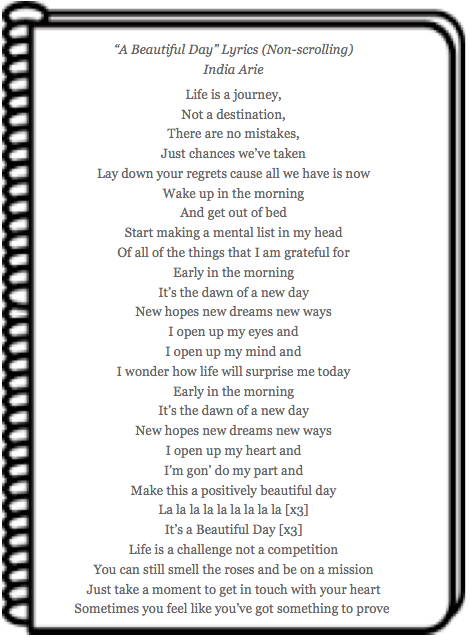 As I researched songs that discuss this theme, I found one, Brand New Sun, that is termed "an ode to embracing a new chapter in life." Jason Lytle provides a breathy song that is uplifting and hopeful, as all new beginnings should be. a journey of faith-filled forevers. With a focused, positive frame of mind follow the path. fly to greater heights than you knew. Look for guideposts along the way. Dive into refreshing pools waiting ahead. that will shape your tomorrows and bring you rest. Reach into the vast open spaces of possibilities. 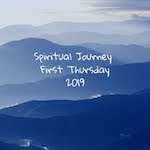 Today the Spiritual Journey Thursday writers under the direction of Holly Mueller, explore the topic of Endings/Beginnings. 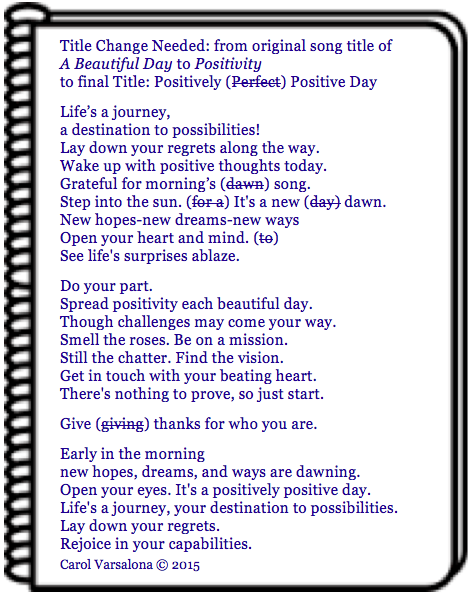 The poem above incorporates the one little words of the original group of writers. What is your perspective on endings and beginnings? 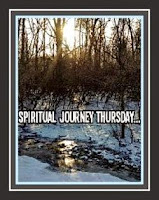 Please visit #Spiritual Journey Thursday to read the postings.